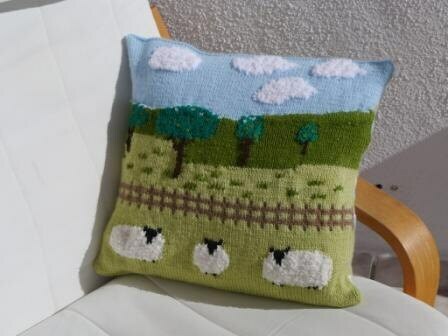 This cushion reminds me of sunny days walking in the countryside. Small amount of Sirdar Snuggly Chunky yarn in white for the Sheep and Clouds. 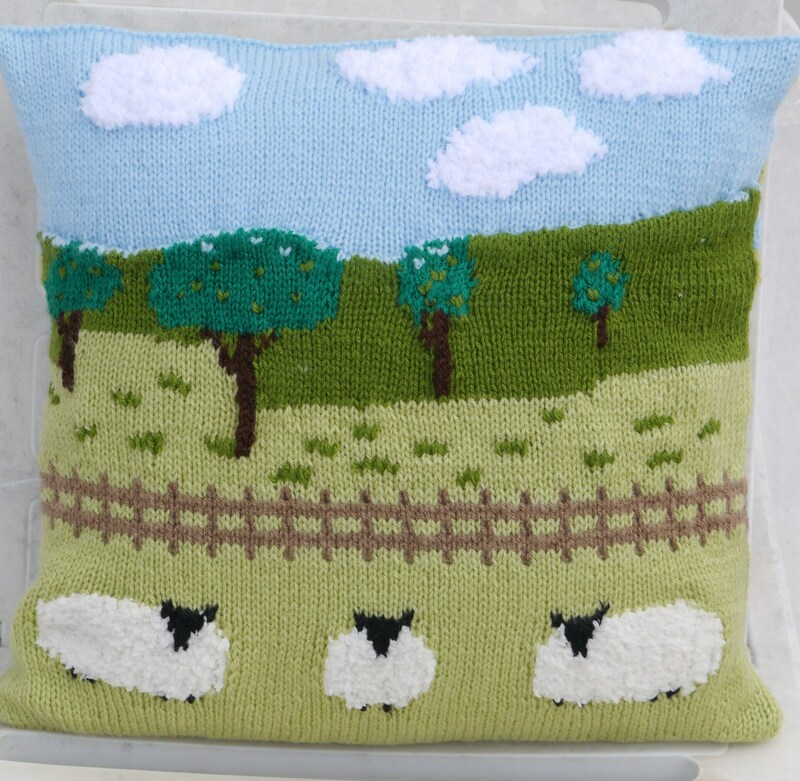 The Sheep and Clouds are knitted with Sirdar Snuggly Chunky yarn which gives them a fluffy 3D effect. 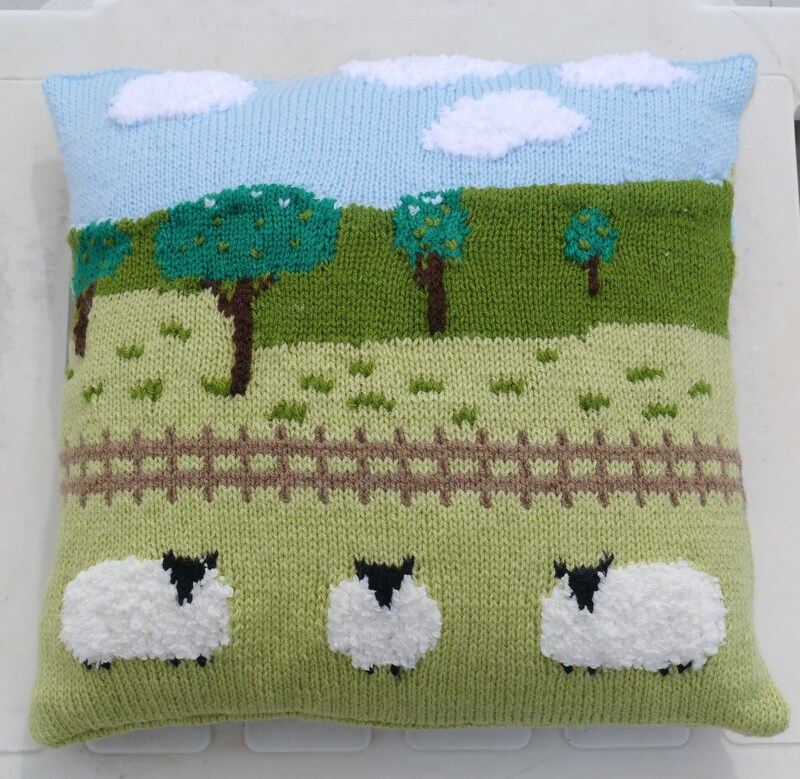 Ever since my dream trip to Ireland where I stayed at a country manor boasting 1,000 acres of woods and fields full of sheep, I have been enamoured with the fluffy beasts. 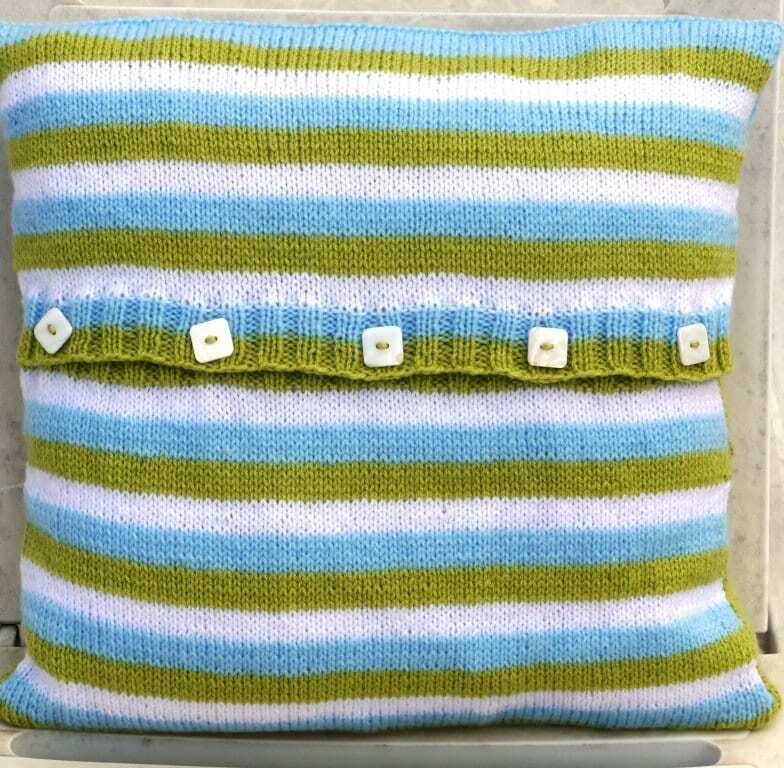 Combine that with my love of knitting and you can see why this pattern is irresistible. It is both practical and lovely. 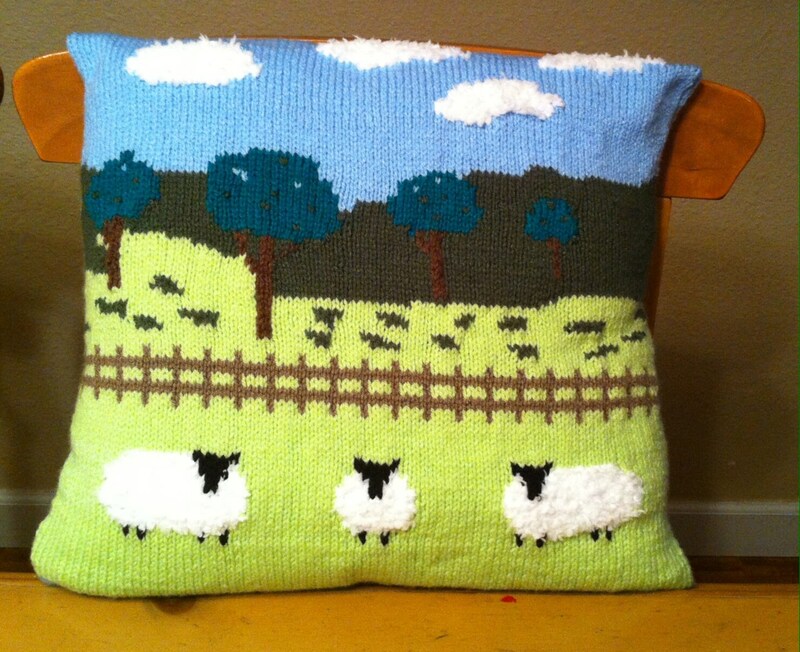 Every time I look at it I think of walking through those magical fields watching the sheep wander and graze. 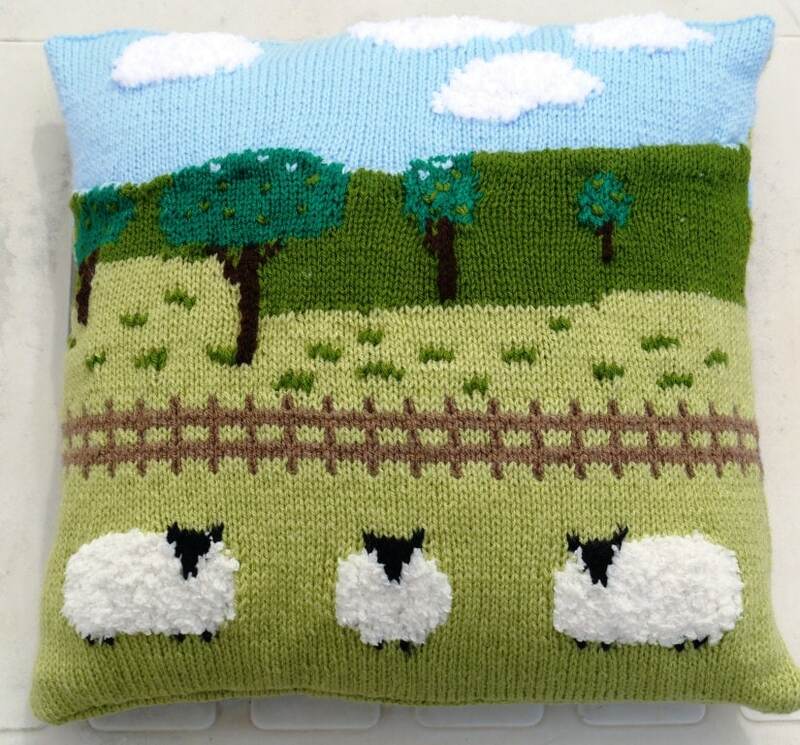 Excellent knitting pattern which was easy to follow. The result is quite stunning. Nice pattern. Detailed and quick delivery with PDF. 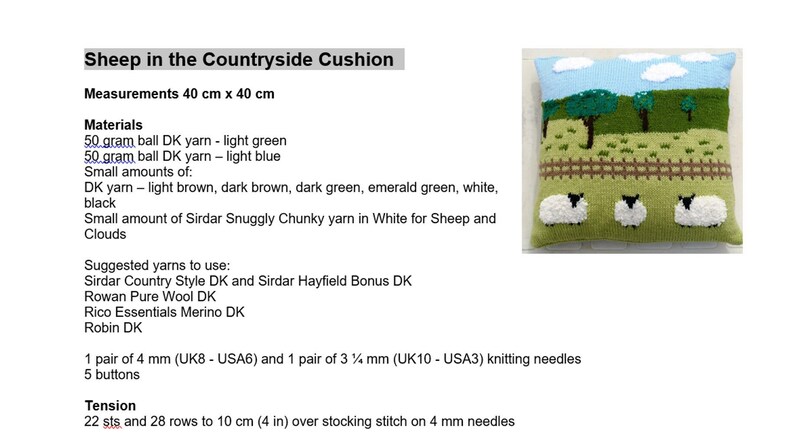 This is so cute, can't wait to make it!